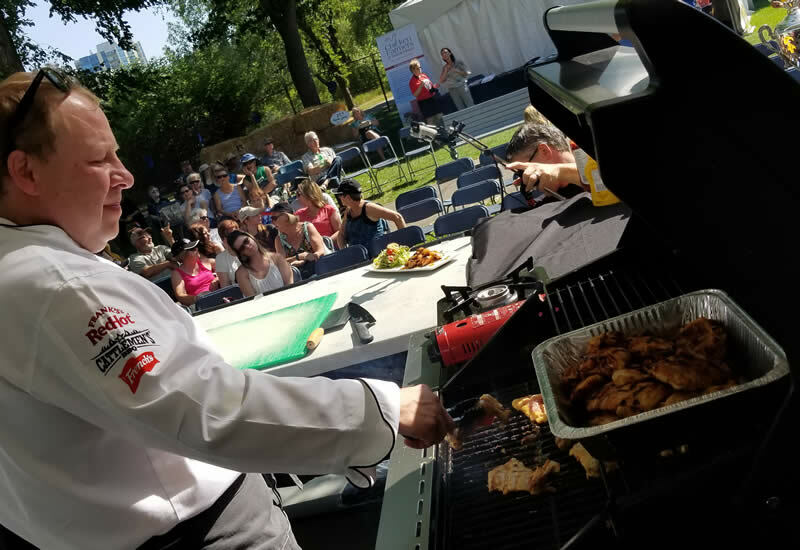 Graham Hayes, Corporate Chef for French’s Food Company in Canada, led a cooking demonstration at the Farm & Food Care Chef’s Stage during Taste of Saskatchewan 2017. Festival goers were delighted to have a taste of Chef Hayes’ Mustard Sweet Chili Glazed Chicken. Visit the Spread The Mustard consumer website at SpreadTheMustard.com. New varieties, mustard research and market outlook: 2019 presentations available here. How to grow mustard in Saskatchewan: Seeding, pest control, harvest and more. The official list of registered mustard buyers, updated regularly. This website is brought to you by the Saskatchewan Mustard Development Commission.